Sun City Lincoln Hills offers world-class amenities in a picture perfect Northern California location. Sun City Lincoln Hills was opened by Del Webb in 1999 and completed in 2008. Today, this spectacular community includes 6,783 homes including both single-family and attached home designs. It also has two spacious clubhouses and an outdoor sports plaza with an exciting line-up of activities. A full-time Activities Director is on hand to help residents make the most of life at Sun City Lincoln Hills. During its development, Sun City Lincoln Hills offered homes in over 40 floor plans, ranging in size from 858 to 3,216 square feet. While most of the community features single-family homes, there are also a variety of attached villas. These low-maintenance villas, sized from 917 to 1,519 square feet, include one or two bedrooms, one-and-a-half or two bathrooms, and one-car detached garages. 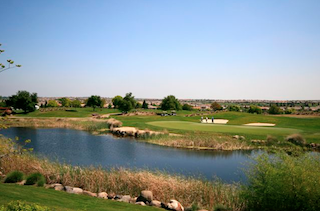 Sun City Lincoln Hills is a golfer's paradise with 36 holes of challenging, championship golf. Single-family homes throughout the community are available in many different sizes, styles and price ranges. Most homes features two or three bedrooms, two to three bathrooms, and separate dens, while the largest models include up to four bedrooms and three-and-a-half bathrooms. Oversized garages were offered on most single-family floor plans, and homes today may have two-, two-and-a-half- or three-car garages. Sun City Lincoln Hills' resort-style amenities are spread across two clubhouses and an outdoor sports complex. The Orchard Creek Lodge is the main hub of community activity. This 68,000 square-foot facility includes a number of desirable amenities, such as the Meridians Restaurant and Sports Bar, hobby and game rooms, arts and crafts studios, a 450-seat ballroom and two outdoor swimming pools. It also features the Wave Fitness Center, complete with state-of-the-art cardiovascular and strength-training equipment, an indoor pool and a separate aerobics studio. The 37,000 square-foot Kilaga Springs Lodge is comprised of two buildings: a social hall and a fitness center. In addition to offering exercise equipment, an aerobics studio and an indoor pool, the fitness center building also houses the full-service Kilaga Springs Day Spa. Social amenities in the Kilaga Spring Lodge include a library, a ballroom, a demonstration kitchen and studios for hobbies such as ceramics, lapidary, stained glass and woodworking. Residents of Sun City Lincoln Hills can fully enjoy the beautiful California weather with recreations found at the Sports Plaza and throughout the landscaped grounds. Highlights include two 18-hole golf courses, 11 lighted tennis courts, 4 pickleball courts, 12 bocce ball courts, 11 community parks and the Anglers Cove Fishing Area. Residents can also take visiting grandchildren to the playground, plan a scenic picnic or enjoy additional activities, such as volleyball, softball or half-court basketball. 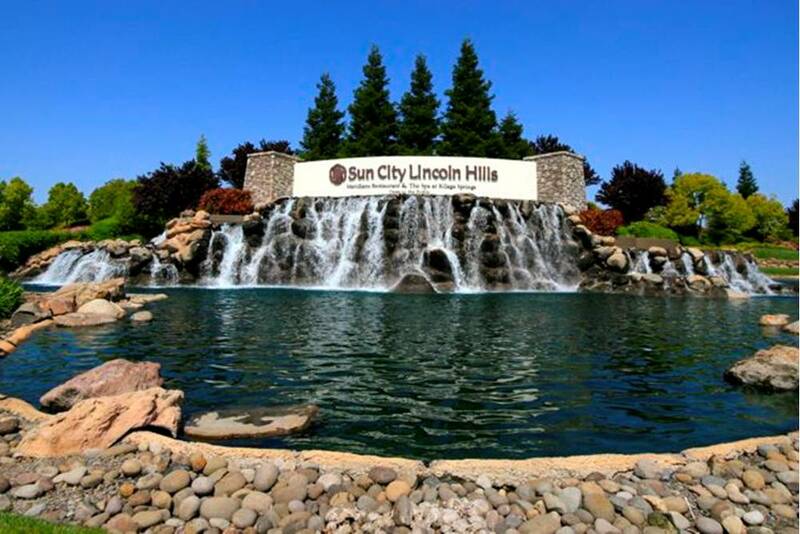 With so much to offer, it's easy to see why Sun City Lincoln hills has become a popular retirement retreat for active adults in the Northern California area.